Swede remains much-maligned for playing a major role in terrible school meals, but it doesn't have to be the bitter, watery mess you remember. 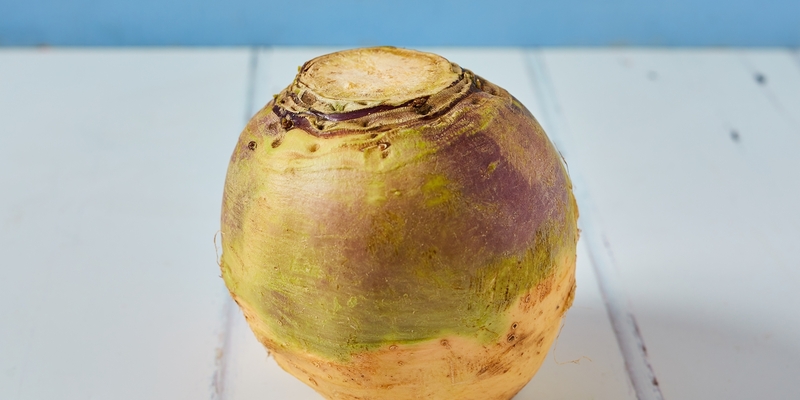 When cooked properly, swede has a pleasant bittersweet flavour and creamy texture that makes it a solid partner for all sorts of ingredients. If you have a swede lying about in your fridge and you need some inspiration, our collection of swede recipes is exactly what you need. Swede is actually surprisingly versatile when you get into it, and in many ways, boiling is the worst way to cook it. Jeremy Lee roasts his with turnip, celeriac and plenty of dill in his Braised root vegetables recipe, and Anna Tobias ferments hers to make a delicious Swede sauerkraut. Clapshot is a classic side in Scotland made primarily with swede, and if you're looking for a real showstopper, try this incredible Swede, onion and cheese pie – a combination of simple flavours that is so much more than the sum of its parts. There are plenty more ideas in our full swede recipe collection – scroll down and take a look.